Breathing a new life into a worn out bathroom doesn’t require a complete makeover. Ten ways to refurbish your bathroom on a budget are explained below. There are a number of ways you can renew your bathroom tiles like Chevron tiles on a budget if you can’t afford to re-tile your bathroom completely. The overall look of a tiled room can be swiftly transformed by resurfacing using spray paint or replacing grout at a low cost. Replacing the faucet can change the entire look of your bathroom. A modern shower head and new taps can easily transform the look and feel of your bathroom, giving it a very gratifying visual lift. It is a simple way and also affordable to give some enhancements to your bathroom. Free-standing storage can make a big distinction in a bathroom. Utilising old wooden crates as smart holders for extra toilet paper and rolled bath towels is a trendy option that will add some spirit to your bathroom. In any room, mirrors can make a big difference and bathroom is no exception. In the bathroom, mirrors need to be extremely useful and conform to the overall decor. Think of updating your mirror by fixing a frame around it so that it gives an exceptional look and style. 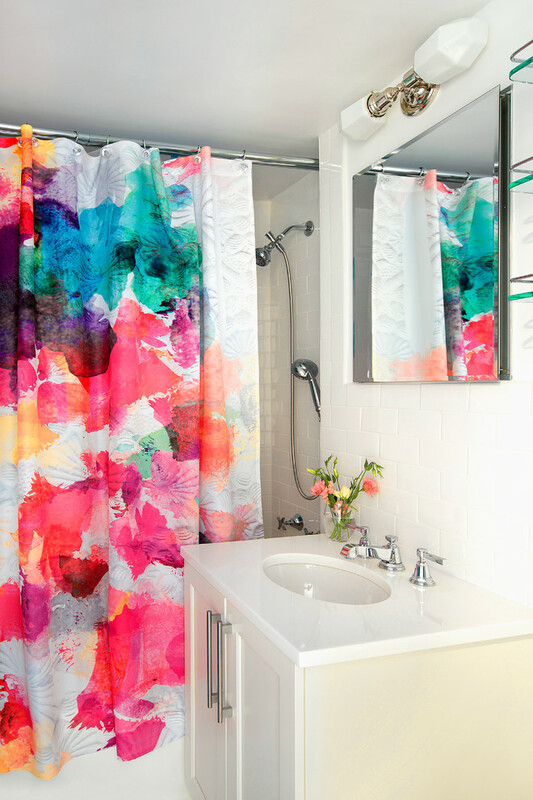 In case, you have a bathroom that needs a shower curtain then you need to take sufficient care when choosing your utility. Indeed, shower curtains can take up a huge space of your bathroom visually and can be the right item to add some style to your decor. The cheapest way to render your bathroom with a new look is through taking out the mess from the countertop and other spaces of your bathroom. Wall-hung or freestanding wall-hung shelves can also be added to your wall-hung shelves as part of your updating plan. These days, you can effortlessly find some that will rightly fit your budget and the theme from the numerous contemporary and modern bathrooms lighting styles that are available in the market. Change your old light fixture with something that is distinctive and vivid such as pendant or chandeliers lights. Simulated natural or natural light in bathrooms is always the finest choice. Refurbishing doesn’t have to be brand new. By utilising spray paint resurfacing, you can easily reinstate your classic claw foot tub, which is beginning to discolour from age. Certainly, this is a cheaper alternative than replacing it with a brand new tub. By matching your cabinet doors to your feature tiles and decorative accents, you can generate a harmonious colour palette. Transform your bathroom into your own personal haven by adding your much-cherished accessories. Undeniably, little things can make all the difference!